Jan. 11 (Bloomberg) — The U.S. Securities and Exchange Commission should investigate whether employees of the Federal Reserve Bank of New York violated laws on corporate disclosure when they asked American International Group Inc. to withhold information from public filings, a Republican lawmaker said. “I urge you to investigate the apparent violations of the securities laws regarding AIG disclosures,” including the actions of New York Fed staff, U.S. Senator Jim Bunning of Kentucky wrote in a letter today to SEC Chairman Mary Schapiro. AIG submitted a draft regulatory filing to the New York Fed disclosing it paid banks 100 cents on the dollar for credit- default swaps they purchased from the insurer, according to documents released last week by U.S. Representative Darrell Issa. The New York Fed crossed out the reference and AIG dropped the disclosure in a December 2008 filing, e-mails between the insurer and regulator show. The decision to pay full value on the swap contracts to counterparties including Goldman Sachs Group Inc. and Societe Generale SA “provided a strong motive for the apparent cover- up,” wrote Bunning, the top Republican on a Senate subcommittee that oversees the SEC. SEC spokesman John Nester declined to comment on Bunning’s request for an investigation. Members of the House Oversight and Government Reform Committee have asked Treasury Secretary Timothy Geithner and New York Fed General Counsel Thomas Baxter to testify about AIG’s disclosures. Geithner was president of the New York Fed in 2008. Treasury spokesman Meg Reilly said Jan. 7 that Geithner “played no role in these decisions,” because he was recused from working on issues involving specific companies after U.S. President Barack Obama nominated him for the Treasury post in November 2008. To contact the reporters on this story: Jesse Westbrook in Washington at jwestbrook1@bloomberg.net. EXPLAIN NOTHING PUT THEN IN JAIL. 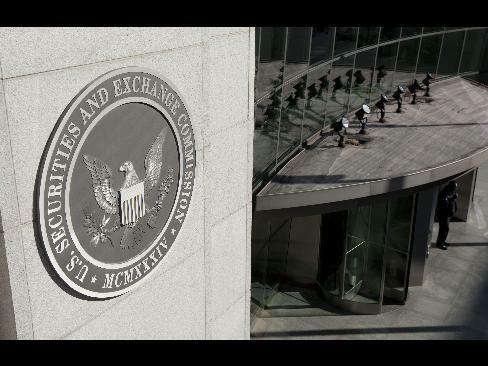 At least a dozen US firms have been told by the US Securities and Exchange Commission that they must disclose and explain their business dealings with and within Syria, Iran and other sanctioned states. They have sold their soul to the Devil.